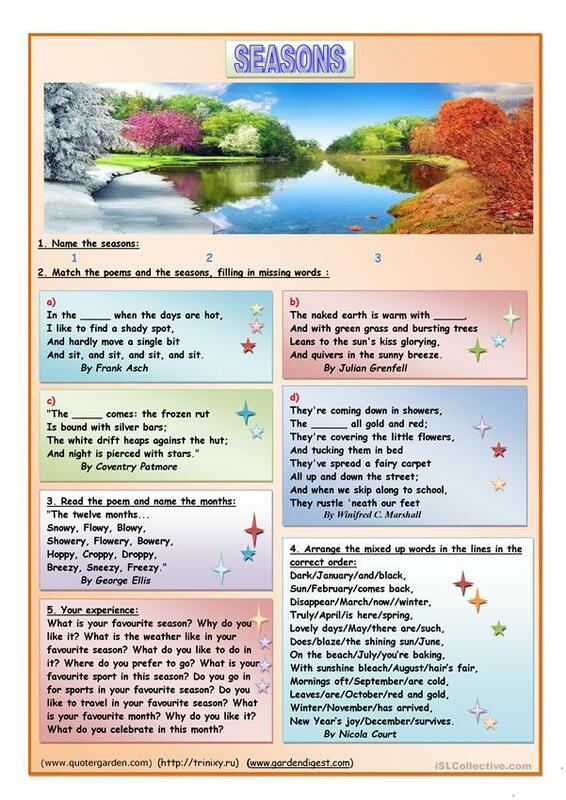 Five exercises on the topic "Seasons": name the seasons, match the poems with missing words and the seasons,read the poem and name the months, arrange the mixed words in lines in the correct order, your experience. Thank you!! (I have ws as Tmk939 on ELSprintables). This printable, downloadable handout is a great resource for high school students and adults at Pre-intermediate (A2), Intermediate (B1) and Upper-intermediate (B2) level. It is excellent for developing your students' Speaking and Reading skills. 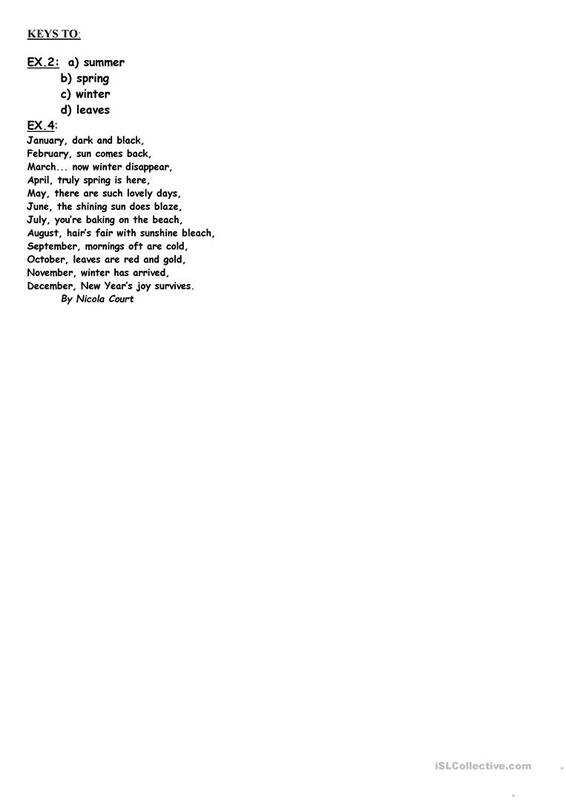 It focuses on the vocabulary topic of Seasons. It includes the solutions, too.